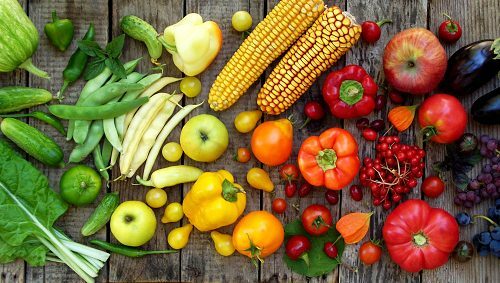 The British Medical Journal Open recently published a study that found that eating a moderate amount of fruits and vegetables may help lower psychological distress. The study collected data from 60,000 Australians who were 45 or older and analyzed their fruit and vegetable consumption, lifestyle factors, and psychological distress at two points in time—first between 2006 and 2008 and again in 2010. To measure psychological distress, researchers used the Kessler Psychological Distress Scale—a questionnaire consisting of ten items that measures general anxiety and depression. Researchers also had participants answer short, validated questions to assess their usual fruit and vegetable consumption. The results of the study found that those who consumed three to four servings of vegetables daily had a 12 percent lower risk of experiencing stress than those who ate zero to one daily serving. Those who ate five to seven servings of fruits and vegetables daily saw a 14 percent lower risk of stress than those who ate zero to four servings. The benefits were more pronounced in women, and it was found that female adults who consumed three to four servings of vegetables daily had an 18 percent lower risk than those who ate zero to one serving. Women who consumed two daily servings of fruit were also found to have a lower risk of stress than women who ate zero to one serving, while women who ate five to seven servings of fruits and vegetables daily had a 23 percent lower risk of stress than women who consumed zero to one daily serving. Fruit consumption by itself was found to have no significant association with a lower risk of stress, though vegetable consumption alone was found to lower rates of stress. This study provides further evidence to a growing body of research that has linked fruit and vegetable consumption with a lower risk of depression and a higher level of well-being, as assessed by various measures of mental health.